◎ Precise level(P)：Ball screw shaft is C5 level, linear slide block is precise level. (heavy preload). ◎ Regular level(R)：Ball screw shaft is R level, linear slide block is high level H (light preload). GMT linear Slide table base is made by high strength aluminum alloy, has been stress eliminated and cryogenic treatment under 196℃(Please refer to P.42), such quality may maintain high precision still after long period using. While it is applied to the slide table required high precision, the base structure is stable enough to against distortion such as expansion while thermal and shrink while cool caused by the environment variation, also can keep a consistence movement of the slide table set. Thus, the base material durability has been highly increased to take the maximum deforming. XY-TABLE dimensions, from 150mm ~ 400mm, travel stroke from 50mm ~ 500mm, modulized design creates variety of single axis or dual axes models, fit for linear moulds used in Automatic, Photo-electric, and Semi-conduct fields. 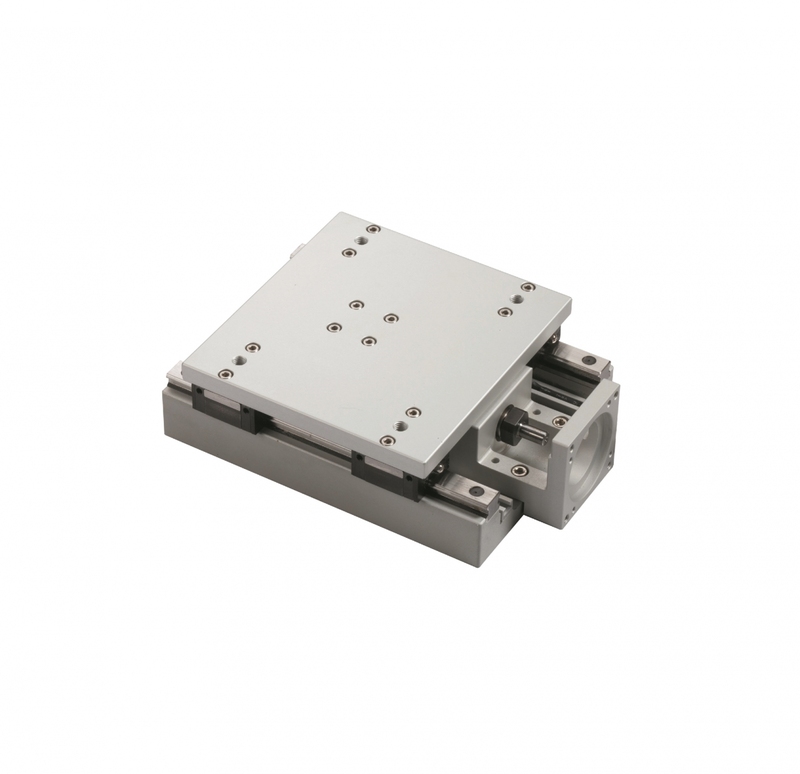 Matched with all servo motors, easy insert installation without axis adjustment. * Motors, couplings are excluded from GMT XY-TABLE units. 1. Choose precise level (P) or regular level(R) by working environment and accuracy requirement. 2. Select Single axis or Dual axes. 5. Function options：with dust cover(J),No dust cover. 6. Surface finish：Anodizing - Primary color or Black color.